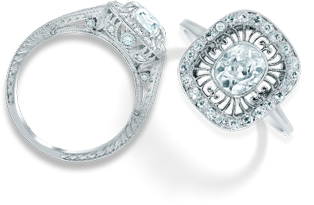 This Edwardian engagement ring truly represents jewelry of the era. 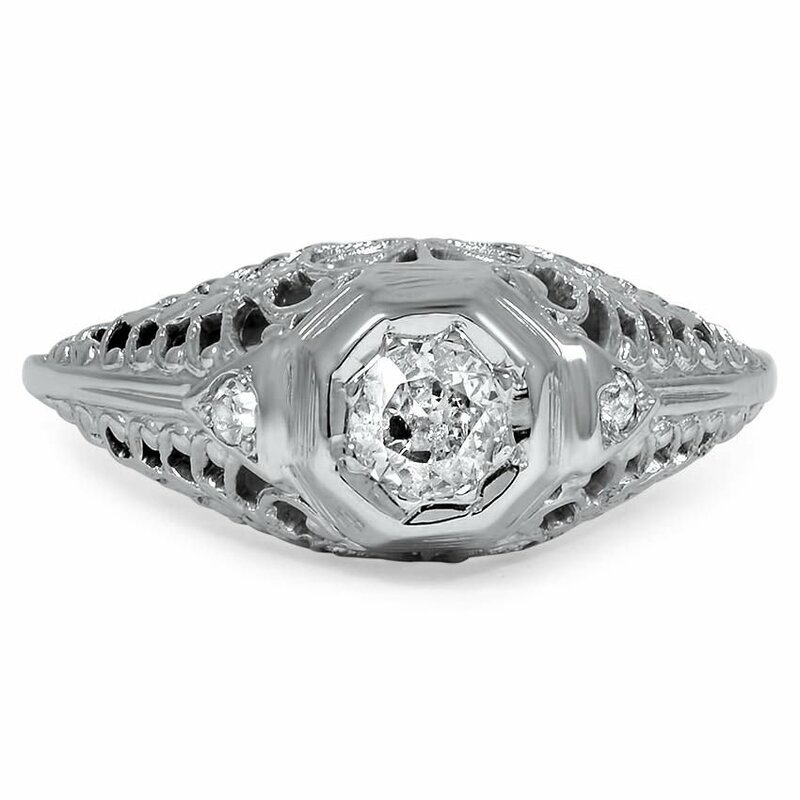 A stunning old European cut diamond sits at the center while a single cut diamond accents each side. The gallery is adorned with piercings, milgrain, and floral details for an elegant quality (approx. 0.23 total carat weight).